The Exercise & Sport Science Initiative (ESSI) draws on expertise from a wide range of faculty across the University of Michigan campus, Michigan Athletics and industry partners to optimize physical performance and health for people of all ages and abilities. 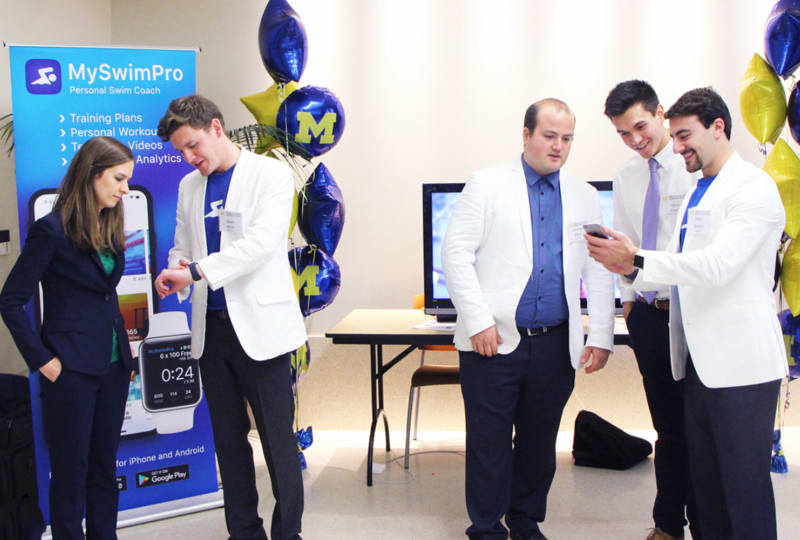 MySwimPro was on display with other innovative sports startups showcasing our technology with attendees at the Big House for the third annual ESSI Symposium. This event included a full day of talks and panel discussions related to healthy aging and healthy communities, sport technology R&D, AR/VR in sport, data analytics, and injury prevention. The symposium brought together industry leaders, U-M faculty, researchers, clinicians, and staff who do work related to exercise and sport science. The intersection of sports and technology is an exciting and quickly growing field of research, application and investment. Since launching MySwimPro on the Apple Watch in 2016, we’ve made a number of feature enhancements including the addition of new experiences that our community loves. 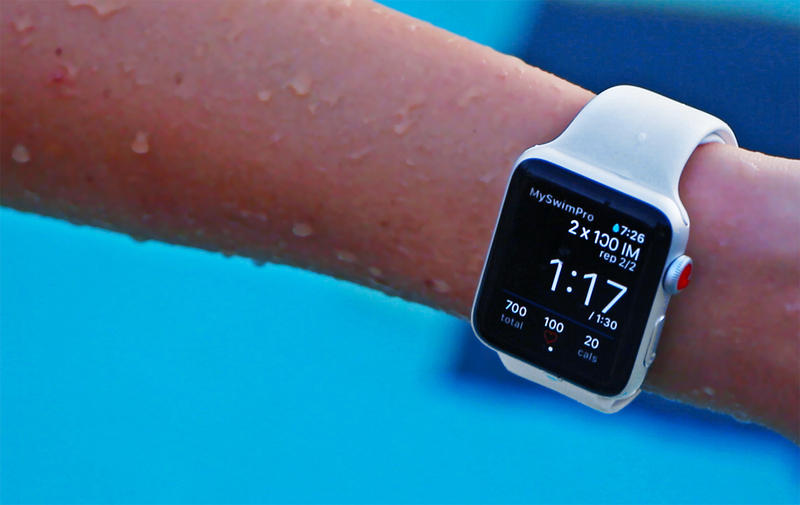 The Award-Winning MySwimPro Apple Watch App is compatible with the Apple Watch Series 2 and 3 smart watches in addition to Android Wear watches. We had the opportunity to share with attendees some of these capabilities along with what’s in current development. Interested in learning more? Shoot me an email at fares@myswimpro.com.